Since Renzi took over the premiership one year ago, pushing aside his own party’s more technocratic prime minister Enrico Letta, Renzi hasn’t moved as quickly as he himself once hoped to institute major economic and political reforms that could pull Italy out of its economic doldrums, which began long before the current economic crisis and precipitate what has now become a triple-dip recession amid the highest unemployment rate in postwar Italy. But there’s no mistaking the trend since Renzi won the PD leadership in late 2013 — he has systematically positioned the Democratic Party, founded just eight years ago as a merger of several centrist and leftist parties, firmly in the center of Italian power. For much of the past two decades, that’s been a position occupied by Berlusconi’s center-right and, before that, Italy’s ideologically amorphous Christian Democratic Party. First as an insurgent mayor in Florence, then as PD leader, Renzi pushed to reinvigorate the PD more in the mould of Tony Blair’s New Labour, away from its roots within Italy’s labour unions and its origins, in part, in the old Italian communist party. (That’s one of the reasons the party originally rejected Renzi in 2012 as its standard-bearer, turning instead to the colorless Bersani). It’s not such a jump, ideologically. As a young Italian reformer on the center-left, Renzi has much in common with Aldo Moro, the former Italian prime minister of the 1970s who guided Christian Democracy in its turn to the left, openly discussing for the first time cooperation with the Italian communists. The difference is that, over four decades in power, the Christian Democrats became increasingly resistant to reform and complacent to political corruption. Renzi is today making a move to enshrine the Democratic Party as the natural party of government, at a time when there’s a clear vacuum. Berlusconi, expelled from the Italian senate and subject to a temporary ban on public service, tainted by moral and political scandals and serving a sentence of community service for a tax evasion conviction, is in no shape to resurrect the Italian right. So far, it’s working. Renzi’s Democrats are as popular as they have ever been and, in the may 2014 European parliamentary elections, won the most impressive mandate of any governing party in the European Union. Across Europe, Renzi’s pro-growth instincts make him sympathetic to the newly elected leftist government of Greek prime minister Alexis Tsipras. But his commitment to major reform has endeared him to top center-right leaders, including German chancellor Angela Merkel and European Commission president Jean-Claude Juncker. In the meanwhile, Renzi is clearly untroubled by striking agreements with Berlusconi, much to the dismay of the leftists in his own party, when it means clearing the path to parliamentary success, most notably on election law reform. Though Berlusconi has grumbled that Renzi didn’t include him in the choice to elect a new president, it’s not clear that the presidential vote will necessarily block what’s become the only path for Berlusconi’s political rehabilitation. Lastly, it is striking that Mattarella himself comes from such a strong Christian democratic background, in contrast to Napolitano’s background as a moderate within the Italian communist tradition. Mattarella is also the first Italian president from Sicily — hopefully a sign that Renzi realizes the fight against corruption also entails a fight against organized crime and that any Italian rejuvenation will require significant development in Italy’s long-forgotten south. 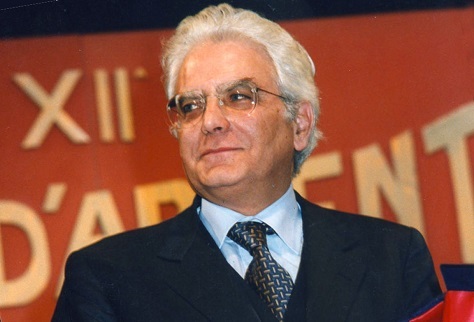 First elected to the Italian parliament in 1983 after his brother Piersanti, then regional president of Sicily, was assassinated by the Sicilian mafia, Mattarella emerged as one of the centrist power-brokers in the post-Christian Democracy era. He drafted Italy’s 1993 election law, and he served, ultimately, as defense minister in one of the short-lived center-left governments that interspersed the Berlusconi era before his appointment as a judge on Italy’s constitutional court in 2011. Previous PostCAR and Burundi: From civil war to democracy and… back?Next PostForget the Gandhis. Kejriwal is now India’s true opposition leader.